Pope Francis has acknowledged “his serious errors” in the assessment and perception of the situation of the sexual abuses in Chile and has asked the Chilean bishops for forgiveness. 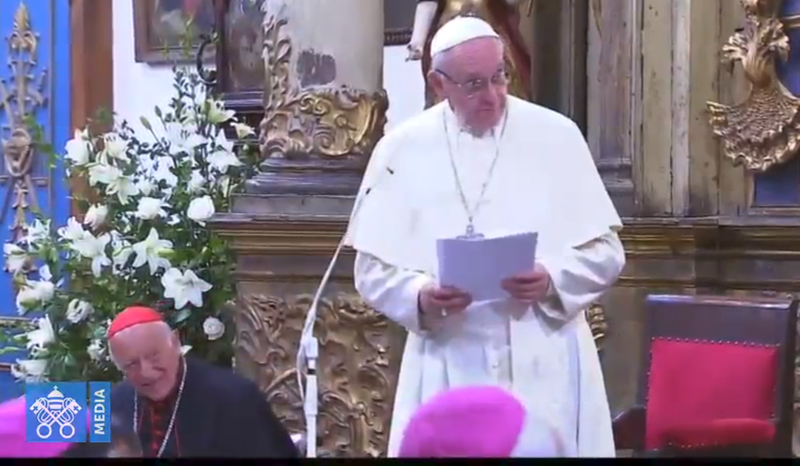 “I acknowledge that I have made serious mistakes in the assessment and perception of the situation, especially because of a lack of truthful and balanced information,” says Pope Francis after reading Archbishop Scicluna’s report. “From now on I ask forgiveness from all those I offended and I hope to do so personally in the coming weeks, in the meetings I will have with representatives of the persons interviewed,” adds the Holy Father. Archbishop Charles J. Scicluna, President of the Special College of Appeal — within the Congregation for the Doctrine of the Faith –, in cases of the sexual abuse of minors by clerics, was sent by Pope Francis to investigate the case of Monsignor Juan de la Cruz Barros Madrid, Bishop of Osorno. Scicluna arrived in Chile and expressed his willingness to listen to those that had elements in their possession, during a press conference on February 20, 2018. Lay people of Bishop Barros Madrid’s diocese, who was appointed Bishop of Osorno in 2015, are calling for his departure, accusing him of being aware of the acts of sexual abuse of his former mentor, Fernando Karadima, when Barros Madrid was a seminarian. In 2011, upon facts came to light in Chilean courts, the Vatican declared Father Karadima culpable of sexual and psychological abuse and ordered his retirement in a monastery, to spend his life in “prayer and penance” without any pastoral mission.